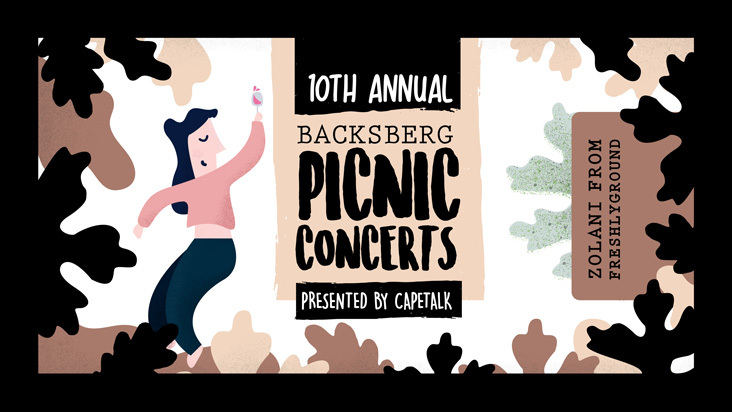 Backsberg’s 10th Annual Picnic Concert series presented by Cape Talk will return in February 2019. To celebrate this milestone, the wine farm has selected a lineup that music lovers will not want to miss! Concertgoers can expect to see A-list South African musicians including Shortstraw, Bottomless Coffee, Zolani from Freshly Ground, Beatenberg and Opposite the Other. The concerts will take place outdoors on the lawn where guests can enjoy watching these top acts in an intimate setting. Seating will be handled in a first-come-first-serve manner, so do arrive early to pick your preferred spot. Backsberg will be offering pre-ordered picnic baskets, purchasable via Quicket, as well as a food court offering for guests who’d prefer to purchase food at the venue. Popular food truck, Die Worsrol, will be serving up delicious delights including German, Asian and vegetarian options all served with complimentary sides. Lickity Split – the food truck that is every sweet tooth’s dream – will have a gorgeous selection of Belgian waffles, ice creams and hot drinks on offer. These events are child-friendly. Ticket pricing ranges from R190 to R220 per ticket and, for patrons 18 and over, including a complimentary glass of wine. Tickets are solely available online via Quicket.